Golovkin had Alvarez back-peddling for much of the second half of their first fight. On Tuesday afternoon the city of Las Vegas lit up once again, as middleweight champion Gennady Golovkin and former world champion Canelo Alvarez both made their way to the city for their grand arrivals. The rematch between “GGG” and Alvarez will take place on Saturday night, Sep. 13, from the T-Mobile Arena with HBO pay per view televising. This is one of the year’s biggest fights, and the reason it’s so intriguing is because of the bad blood between the two men. As widely reported earlier this year, Alvarez failed a pre-fight drug test, testing positive for the banned substance Clenbuterol, back in February. The chain of events that happened next saw Alvarez temporarily suspended in Nevada, with the rematch being canceled as Golovkin faced junior middleweight contender Vanes Martirosyan in Southern California instead. Golovkin and his team began taking several shots at Alvarez, as the rematch was rescheduled for Sep. 15. After arriving in Las Vegas, Alvarez spoke on how much Team Golovkin’s words bothered him. “I’m bothered by all the stupid things they’ve been saying,” said Alvarez. “I don’t know which one to laugh about or get angry about at this point. But their statements are all excuses for the loss they will take this Saturday. I have been using all of these statements as motivation for my fight on Saturday. The 28-year old from Mexico does admit that he will have to check his emotions as the fight gets closer. Golovkin claims to fight in a “Mexican style”, something Alvarez has mocked, and he spoke to the fans about having such a big fight for this specific weekend. Golovkin has a professional record of 38-0-1 with 34 knockouts compared to Alvarez’s record of 49-1-2, also with 34 knockouts. Both men have been around the block yet Golovkin claims this is the biggest fight of his career. 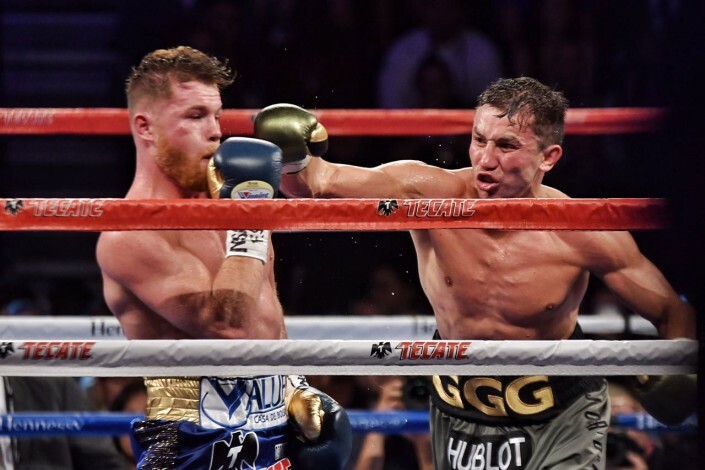 Canelo vs GGG – what do the undercard fighters have to say?